From central Cape Town, take the N1. Take the R27 Paarden Island /Milnerton turnoff (Marine Drive). When you see Woodbridge Island turn left into Loxton Road. This takes you over the bridge to the beach. Exposed to all winds. Best on calm days. Beach break works between the lighthouse and the river mouth when the sandbanks are good. 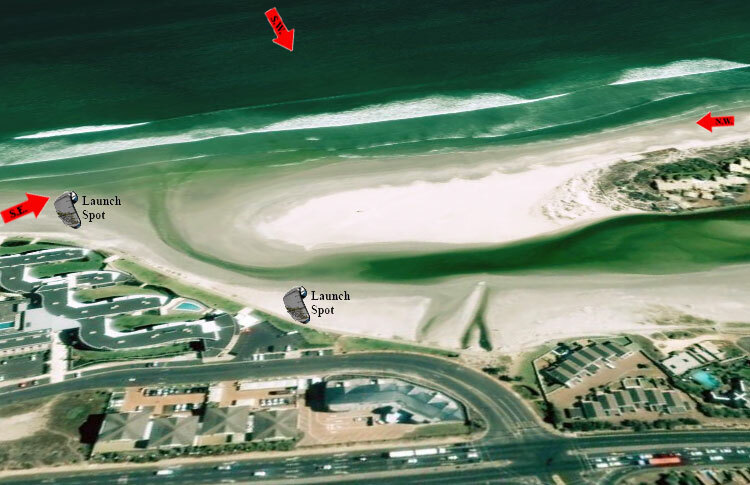 This spot is notorois for kite accidents on a NW due to the gusts around the hotel, so if you are kiting here take try to stay outside the lagoon area and stick to the sea. Gusty on a SE. On the beach next to the lagoon. There is a car guard and ablutions available at the Wang Thai Restaurant (which by the way serves delicious Thai food and excellent cold cold beers).